With a week to go before the state releases the first official grades for school districts, school superintendents have already begun their campaign against the system. In exactly a week, Texas will give its school districts official grades for the first time, rating them on a scale from A through F, with state officials promising a more transparent system that will show parents how their schools are educating students. But the discussion about the new grades, which replace a pass/fail system, is already getting messy. Superintendents and educator advocacy groups, historically opposed to the graded system, are already organizing a campaign to fight it — arguing that letter grades cannot accurately reflect their work or factor in the challenges of educating a student body with diverse needs. The state will use the grades to judge school performance and make policy decisions about their management. "Parents want their children to do rigorous, engaging work that sparks a lifelong love of learning, not prep for a multiple-choice test that colleges and businesses don't even consider," said Kevin Brown, the new executive director of the Texas Association of School Administrators, which has released a set of talking points for educators to rally against the system. 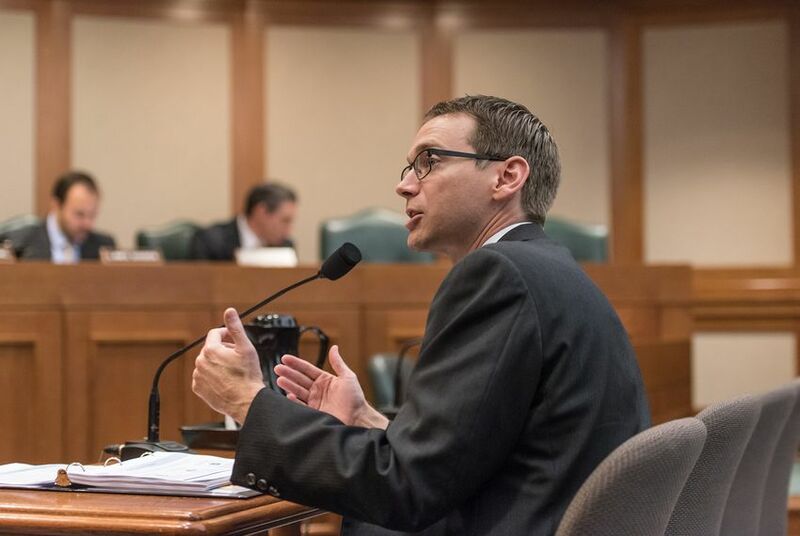 At a House Public Education Committee hearing Wednesday, lawmakers questioned Texas Education Commissioner Mike Morath about his plans for calculating and rolling out the controversial grades. Morath said the agency was given a lot of leeway to make decisions on the calculations and worked to build a holistic grading system. The state Legislature made final revisions to the accountability system last spring, replacing a pass/fail system of rating schools and districts. This August, school districts will be graded in three categories: student achievement, student progress and closing the gaps. The state will use standardized test scores to grade elementary and middle schools, and a range of additional factors — such as graduation rates — to grade high schools. Schools will receive pass/fail ratings this year before transitioning to a graded system next August — a compromise lawmakers made last spring to appease critics of the new system. But the Texas Education Agency will release numeric scores for schools next week, which can be easily translated to letter grades. The student progress category is broken down into two subcategories, one that looks at how well students are improving on their standardized tests and another that looks at how students are performing at their school compared with similar schools. Schools or districts that receive three or more F grades in those subcategories and the other two categories will automatically receive an F grade overall. That rule informed the latest wave of criticism against the graded system. Calling the rule "forced failure," the association of school administrators sent a letter to Morath Monday arguing educators were not given the chance to comment on it. State Rep. Diego Bernal, a San Antonio Democrat, asked Morath to explain the decision at Wednesday's Public Education Committee hearing. "In the rule, we've created a scenario that's not in the bill," he said. "We've created a scenario where a campus will get an F."
Morath warned against looking at any specific part of the grade calculation in isolation and said the rule helps provide a more accurate depiction of a school's performance. His agency will also unveil a new website next week that breaks down the calculations for each rating for both schools and districts. Disclosure: The Texas Association of School Administrators has been a financial supporter of The Texas Tribune, a nonprofit, nonpartisan news organization that is funded in part by donations from members, foundations and corporate sponsors. Financial supporters play no role in the Tribune's journalism. Find a complete list of them here.